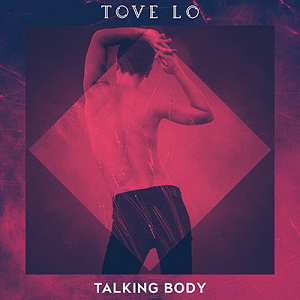 PHN Warped Wednesdays | Indie Pop | Tove Lo – ‘Talking Body’ ~ Phresh Hott New! Tove Lo “Talking Body” was written by her, Ludvig Söderberg, and Jakob Jerlström, while the production was controlled by The Struts and Shellback. The song has peaked at No.12 on the Billboard Hot 100, becoming her second top twenty hit after “Habits (Stay Hight).” Plus peaked No.17 on the UK Singles Chart, becoming her third top twenty hit after “Heroes (We Could Be)” with Alesso. The second single from Tove Lo’s debut album ‘Queen Of The Clouds’ is here! Click Play and Watch Below! LOVIN’ THE SONG!!!!! Feel free to leave a comment or RATE YOUR OPINION!